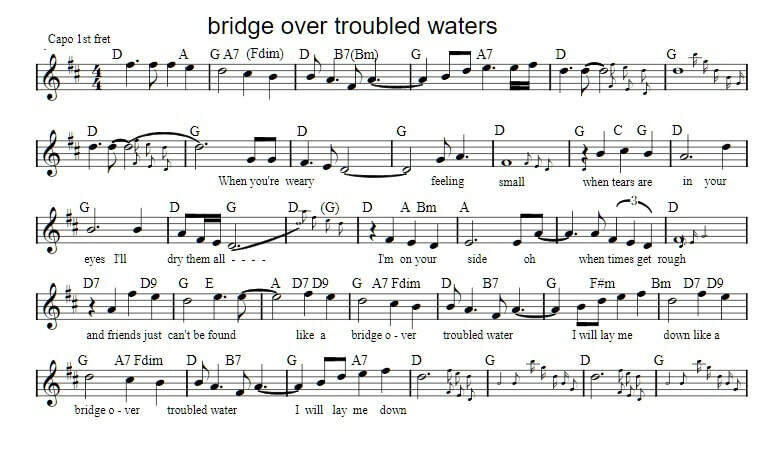 The sheet music and mandolin / banjo tab for Bridge Over Troubled Waters is in the key of D Major. The songwriter is Paul Simon who recorded it with Art Garfunkel. 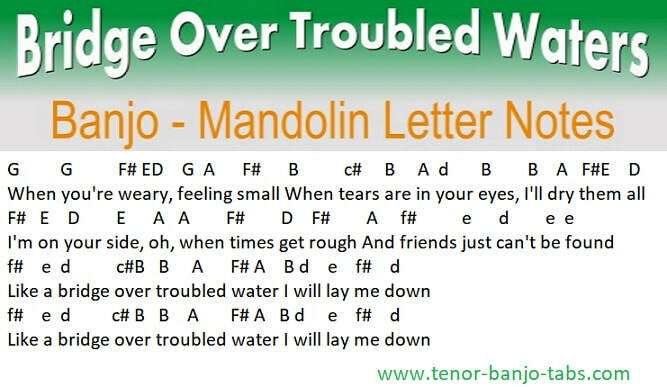 This song is suitable for all who know the basics of playing, as it's not too difficult to play.